Sealing streets in good condition stops deterioration, our first streets were sealed 20 years ago and are 25 years old in (2018) with no deterioration. 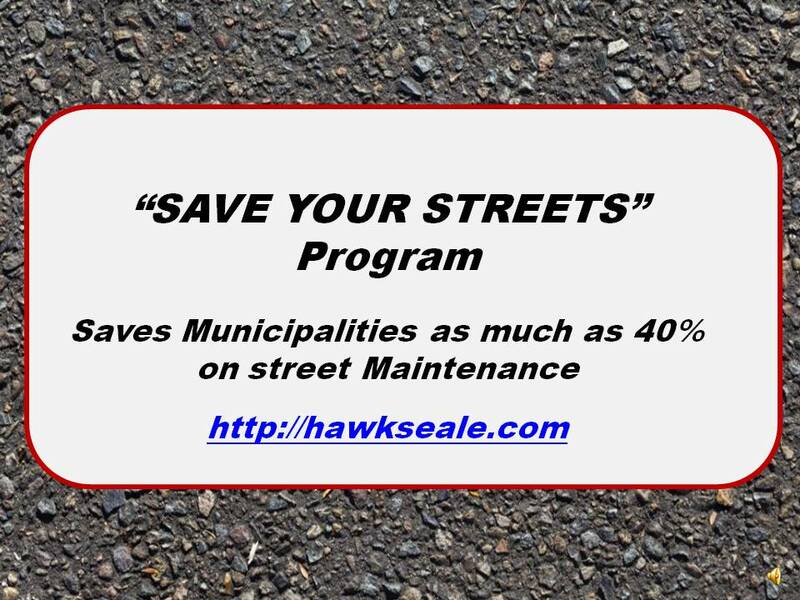 Overlaying the poor sections of streets, and applying Hawk Seal-E preserative to the good portions saves substantial money. ​ Five times the pavement can be preserved compared to cost of Overlay.